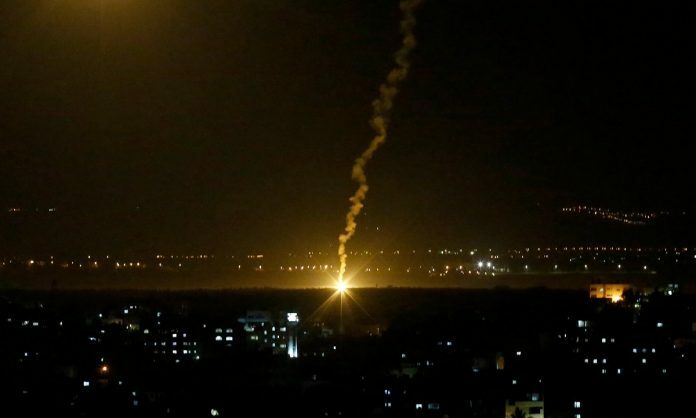 Hamas and other armed Gazan factions launched a widespread rocket and mortar assault on southern Israel as evening descended on Monday, in an assault seen by the terror organizations as a calculated risk. The battering began with a shoulder-fired anti-tank missile that struck a bus near the Gazan border, injuring one Israeli, before more than 400 projectiles bombarded southern Israeli communities. The Israel Defense Forces responded with a growing number of airstrikes on Hamas and Palestinian Islamic Jihad targets across the Gaza Strip, including terror tunnels, weapons manufacturing sites and the destruction of Hamas’s Al-Aksa television station in the heart of Gaza City, which the military said passed along operational information to terrorists. The fact that Hamas chose to target Israeli civilians to revenge the killing of its fighters the previous night, during a firefight with an elite IDF unit that was exposed while on an important mission in Gaza, will likely prove to be a step too far for Israel. Initial signs suggest Israel will not seek to contain the situation, as it has during previous escalations in recent months. Dr. Col (ret.) Reuven Erlich, director of the Meir Amit Intelligence and Terrorism Information Center, told JNS that the latest escalation should not be viewed in isolation. Assessing that the situation looks likely to escalate, Erlich cautioned against the idea of trying to stabilize the situation with humanitarian gestures or suitcases with millions of dollars of Qatari cash in them, like those that entered Gaza in recent days. Trucks full of fuel will not achieve that goal either, he said. “Hamas is acting like the mafia. It is getting protection money, then it lowers the flames, and then very quickly raises them again,” he stated. “The same hand that lowers the flames is the one that raises them back up. 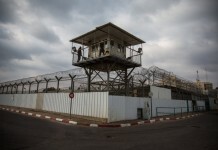 Gaza will not calm down until Israel finds a way to return to the status quo of quiet that was in place until March 30 of this year, the date when Hamas initiated the first mass border disturbances. 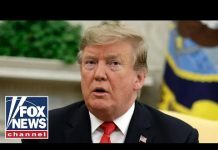 He compared Hamas’s increasingly dangerous risk-taking to the actions of a burgeoning drug addict who becomes used to a certain dosage, and then increases it. This pattern can be seen in the hundreds of rockets that Gazan terror organizations fired in the space of just three hours on Monday evening. Such a shift may well be in the works, as the IDF begins targeting symbols of Hamas’s sovereignty in Gaza in a way it hasn’t done before, like the strike on Hamas’s official television channel building. The IDF spokesman also signaled that the military is prepared to go further, if needed—alluding to the possibility of a stepped-up, persistent air campaign, and a possible ground offensive. Next articleWatch: Do Gillum, Nelson Have A Chance In Florida Recounts? I’m still waiting for the “heavy blow” that Avigdor Lieberman promised. Israel will never wipe Hamas ,because then the PLO will become too strong for Israel to deal with.